Places to see in Lulung: Besides exploring the surrounding jungle and the Palpala River, you can visit the tribal villages situated at a small distance from Lulung. 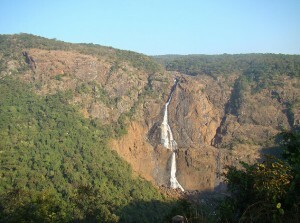 At Kalipahar, just 3 kms from Lulung you would discover a milky white waterfall. 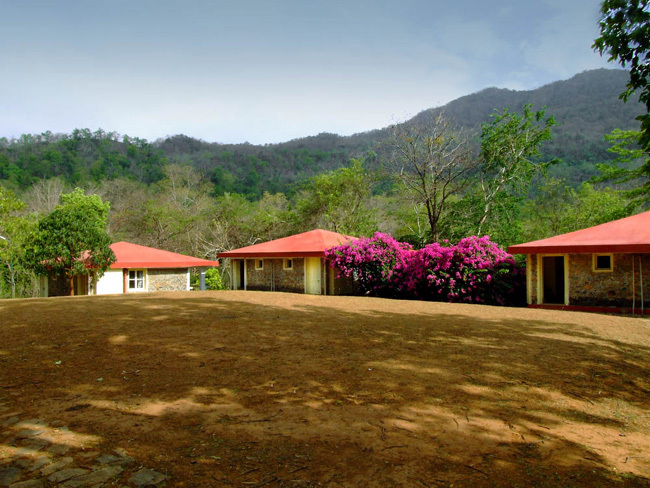 You can take long nature walks within the Simlipal Forest in the surrounding area of Lulung Bungalow. For more photos of Lulung click here. Nearby attractions of Lulung: You can explore the Simlipal Forest and visit the beautiful 399 m high Barehipani waterfall and 150 m high Joranda Waterfall. From Lulung, you would also get a good view of surrounding peaks like the 1158 m high Meghasani peak and 1178 m high Khairiburu peak. 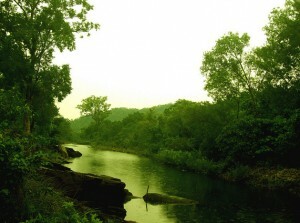 Besides Palpala River, other rivers like Khairi, Budhabalanga and Salandi meander throughout the forest. You can also visit prehistoric sites of Kuchai (famous for remains of Neolithic age) just 28 kms away, Kulaiana (famous for remains of Paleolithic age) just 38 kms away. Other attractions like Sulaipat Dam (60 kms away), Deokund Waterfalls and Bangriposhi (40 kms) can also be visited from this place. Those who are in love with reptiles can visit the crocodile rearing centre located at Ramtirtha, near Jashipur. The nearby district headquarters of Baripada also has a few attraction like Jagannath Temple and Ambika Temple. Things to do in Lulung: You can opt for hiking in the forest area of Similipal and explore wildlife, including elephants, deer and even predators like leopards and tigers. 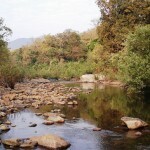 You can also opt for picnics on the banks of the Palpala River enjoying the beauty of the flowing crystal clear water and the surrounding forests. Birdwatchers would have a gala time in the surrounding areas of this destination. How to reach Lulung: From Kolkata, you can avail the option of trains to reach Baripada, the nearest rail-head to Lulung. From there, you can avail the option of State run buses, cars or taxis to reach the place. You can also reach Balasore by train and catch a taxi or bus to Lulung. Best time to visit Lulung: You can visit Lulung any time of the year but the best time to visit Lulung is during the months of November to June. Lodging and dining facilities in Lulung: At Lulung, you can stay in some beautiful Forest Cottages in sync with the nature surrounding it. Each cottage has a balcony attached to it facing the surrounding hills and the vast expanse of forest. 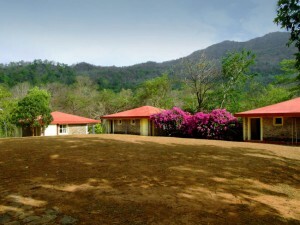 The entire Tourist Complex is landscaped with nice lawns, gardens and fruit trees. There is also a lounge and a dining hall with all necessary facilities. Eco friendly solar power keeps these cottages and surrounding areas alive throughout the night. Excellent dining facilities are provided in these Forest cottages.